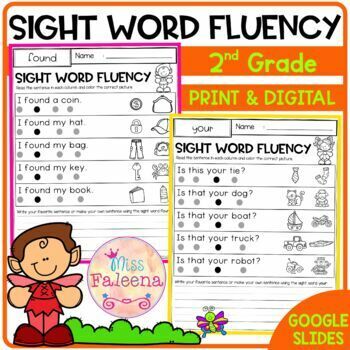 This Product is included in my Sight Word Fluency Bundle and Sight Word Mega Bundle. Please do not purchase this product if you have already purchased the bundles. Please download Free Sight Word Fluency before you decide to purchase this product. This resource is perfect for kindergarten, first and second graders. There are 46 pages with 230 sight word sentences. 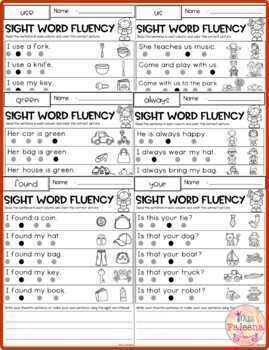 This resource helps children to learn sight words by reading and writing sentences. This is perfect for classroom activities, morning work, word work and literacy centers. 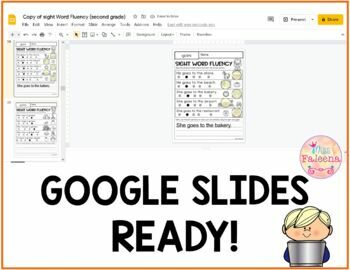 These pages are fun and effective way to reinforce all of the first grade Dolch Sight Words Sight words include: always, around, because, been, before, best, both, buy, call, cold, does, don’t, fast, first, five, found, gave, goes, green, its, made, many, off, or, pull, read, right, sing, sit, sleep, tell, their, these, those, upon, us, use, very, wash, which, why, wish, work, would, write, your. 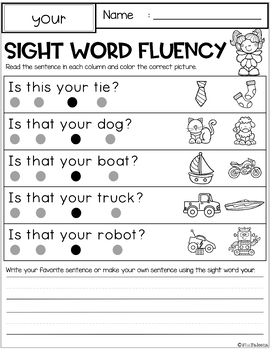 For more Sight Word Products CLICK HERE Please see the preview to download the free sample.